You need it, we got it! 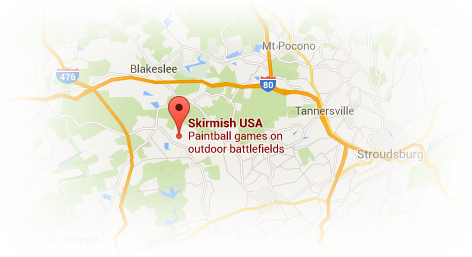 Visit the Skirmish Pro Shop for the latest and greatest guns, gear & equipment. Call 570-722-3567 for assistance. Want to try before you buy or maybe just have a little more body protection? 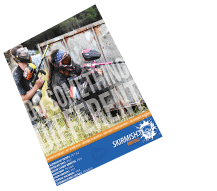 Check out the upgrades available at the Skirmish Pro Shop. Special mention should be made for the Planet Eclipse Etha 2. A custom tuned double trigger, Dye rotor, and N2 tank make this marker a formidable tool on any field. Upgrades are limited and available on a first come – first serve basis. Don’t have time to get all your winter gear together? We have everything you need to stay warm in the snow and cold. From boots to beanies we have you covered! Rent this entire package for only $39.99. We now have Apex 2 barrels in stock! We have them in Tippmann 98, A-5/X-7, and Autococker threads, in both 14″ and 18″. Come check out the hottest new barrel on the market. Supplies are very limited as they move fast. Purchase the newest & hottest gun in the game! Includes: Tippmann Alpha Black Elite, cyclone feed system, empire apex2 barrel, reflex red dot sight, M-16 style stock, and tactical folding grip. Lockers are located in our main picnic area and are FREE for you to use. You will however need a lock. Bring your own or purchase a lock from the Pro Shop for $5! For your convenience, we have certified paintball gun technicians on hand daily. If your gun needs parts, repair, cleaning…etc. just let us know. We would be happy to take a look, free of charge, and give you a rental gun to use while yours is being worked on. It goes without saying, the labor is free but you will be charged for any necessary parts to get your gun back up and shooting.